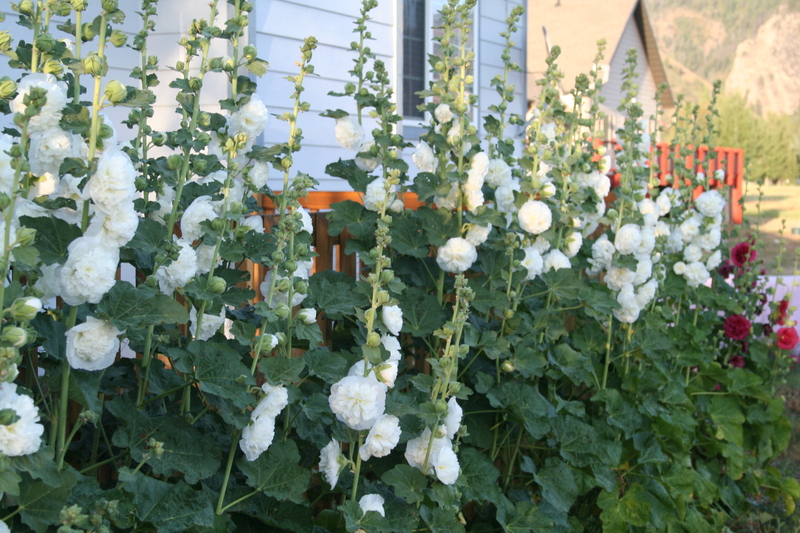 My husband snapped this photo this morning to show how tall the hollyhocks have gotten. 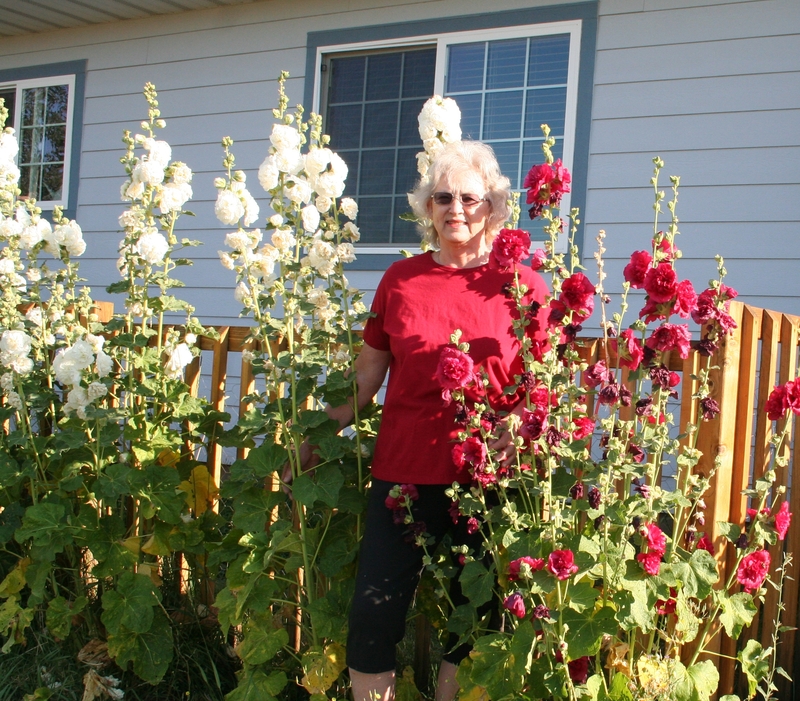 I am 5'10"- the hollyhocks are over 6'. I didn't know there were any that grew that tall! They are waning now (and I haven't been keeping up with the deadheading) but we're still enjoying them. My husband also told me that he thought I looked pretty cute – for an old lady… Honesty – 100%. Tact 0%.